Place blueberries, vinegar and pepper in sauce pan. Simmer on medium heat (boiling but dont burn) about 20-30 minutes to reduce. Stir in olive oil. 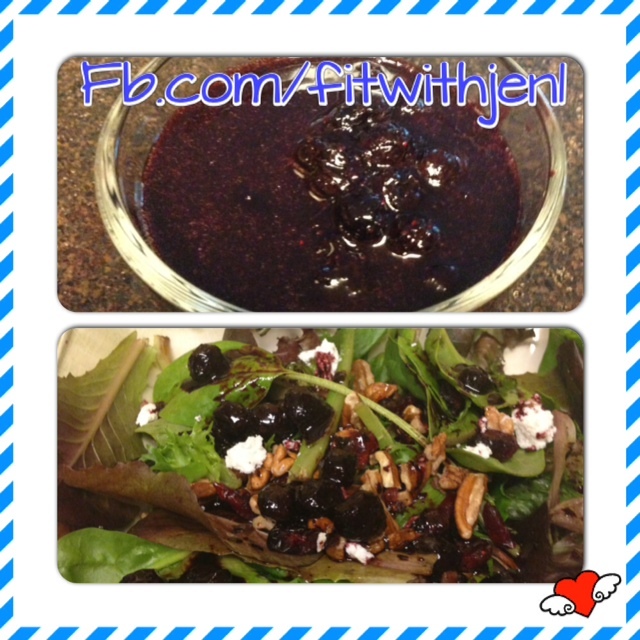 Allow to cool and use a tbsp over fresh spinach with cranberries and goat cheese. Enjoy!